We’ve got a very exciting day today – the launch of Nua Worsted! Since last summer we have been planning and scheming to put a new yarn together. The fibre combination of Nua (60% Merino, 20% Yak, and 20% Linen) lends itself very nicely to a worsted weight yarn. Releasing Nua in a second weight also gave me a chance to play with some new colours! We decide to combine old and new when it came to the colours. We kept eight of the colours from the original Nua range (Rolling Bales, Cafe Flamingo, Hatter’s Teal Party, Late Night Blues, Unexpected Macaw, August Storms, Bare Necessities and Kitten Fluff) and introduced six new colours. The challenge with a yarn base that includes yak is that it is not a neutral colour. Yak is a light brown colour which dramatically changes colours when they are overdyed. This meant that getting the colours exactly right involved several itterations with the mill but now I think you’ll agree that they are just ‘perfect’. The light green of Drift Glass is delicate and light enough to be great for knits that have subtle textures that you want to make sure are seen. That delicate shade of green is reminiscent of the softly smoothed drift glass you would find on the beach. Sea Veggies is a darker green that really allows the subtle colour variations from the linen to show through. Rich and deep like the wonderful vegetation you find growing in the sea. I just adore the soft, orange of Harvest Moon! 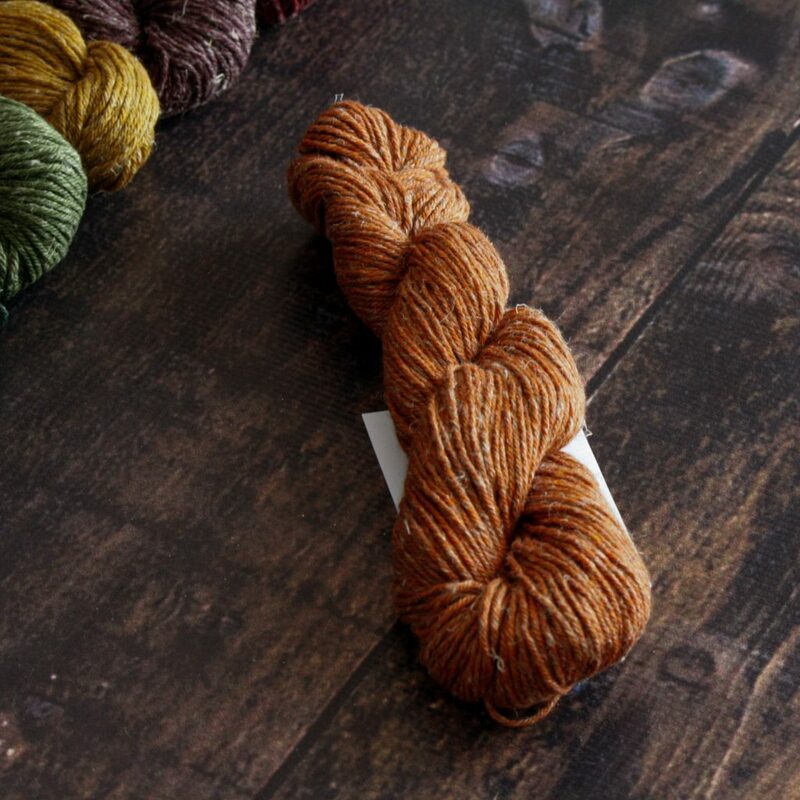 The beige base of Nua Worsted really makes this a very subtle, gentle orange. It just exudes rich, autumn harvest time and autumnal colours. 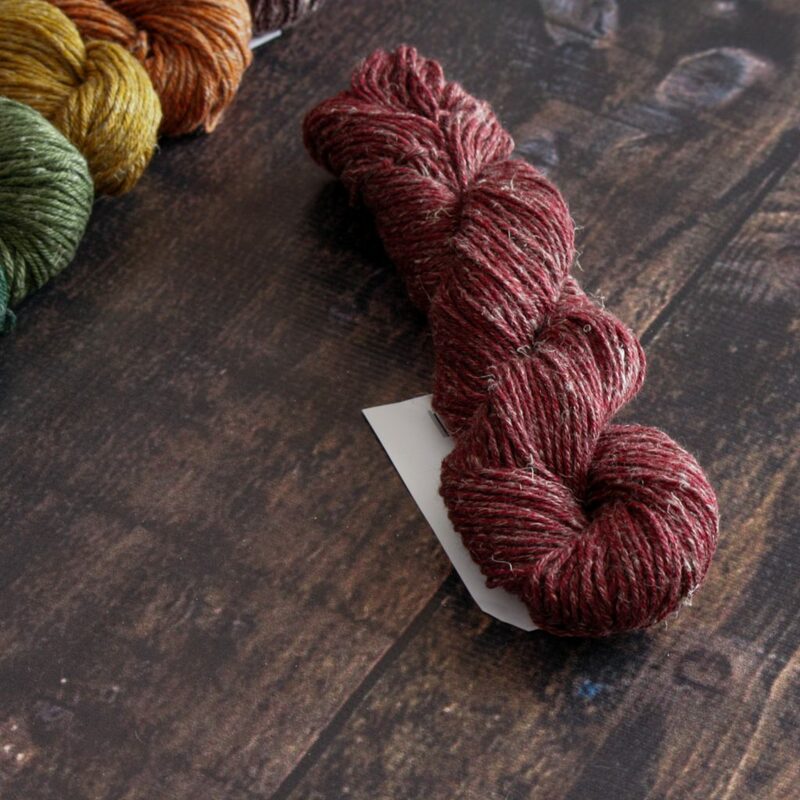 Dare You is a dark, rich red colour that that just begs to be knit. Like my favourite deep red lipstick, the question is – do you dare to knit it? The delicate, dusty pink of Cerebellum still has hint of the underlying yak beige to add to it’s subtle colour variations. It a pink for knitters that don’t usually do pink; subtle with just a hint of colour. Chalk and Plum is a deep plum colour that is rich and inviting. It makes a beautiful pair with Cerebellum. 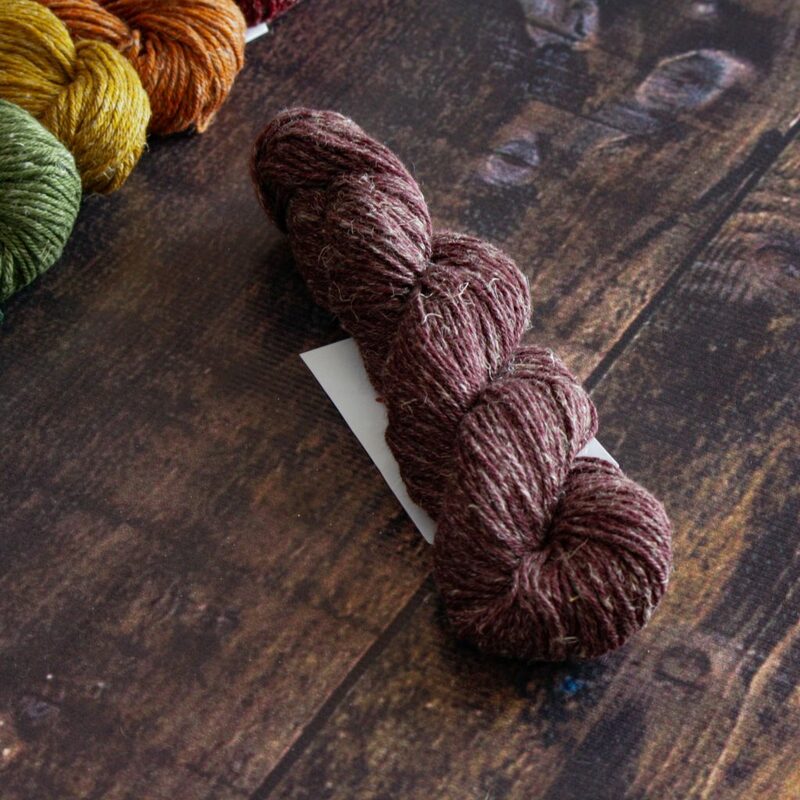 For the launch of Nua Worsted at Edinburgh we have a brand new wonderful design from Isabell Kraemer, Mycroft, on display that used Nua Worsted in Bare Necessities. 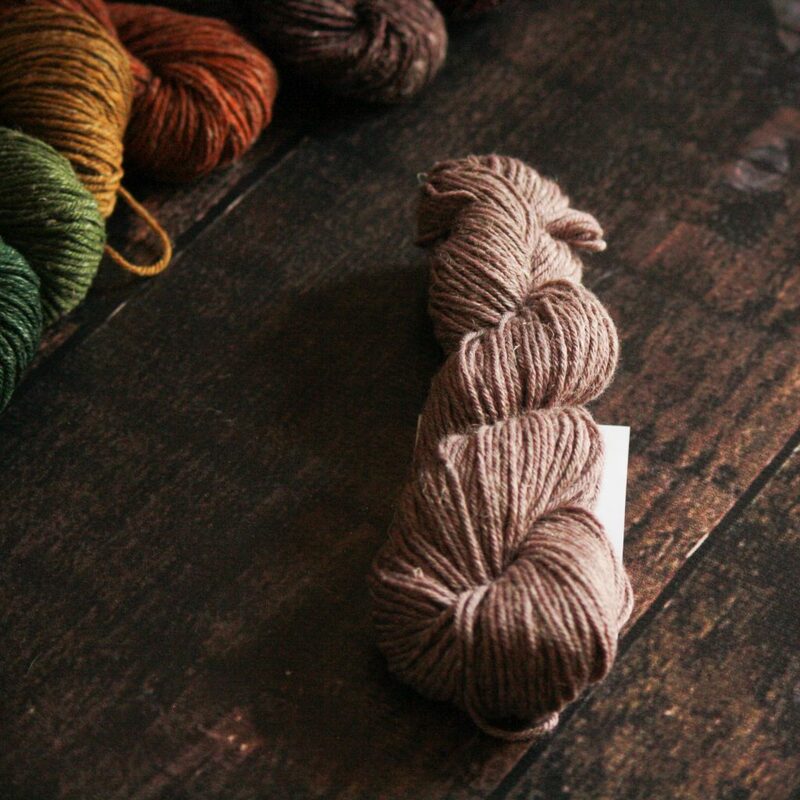 If you are coming the Edinburgh Yarn Festival you can get your hands on Nua Worsted there! As soon as the remaining stock returns to me from Edinburgh I’ll get it straight up on my website for all you other knitters as well. So what is your favourite colour, do you want to try out a brand new Nua colour? I love it! 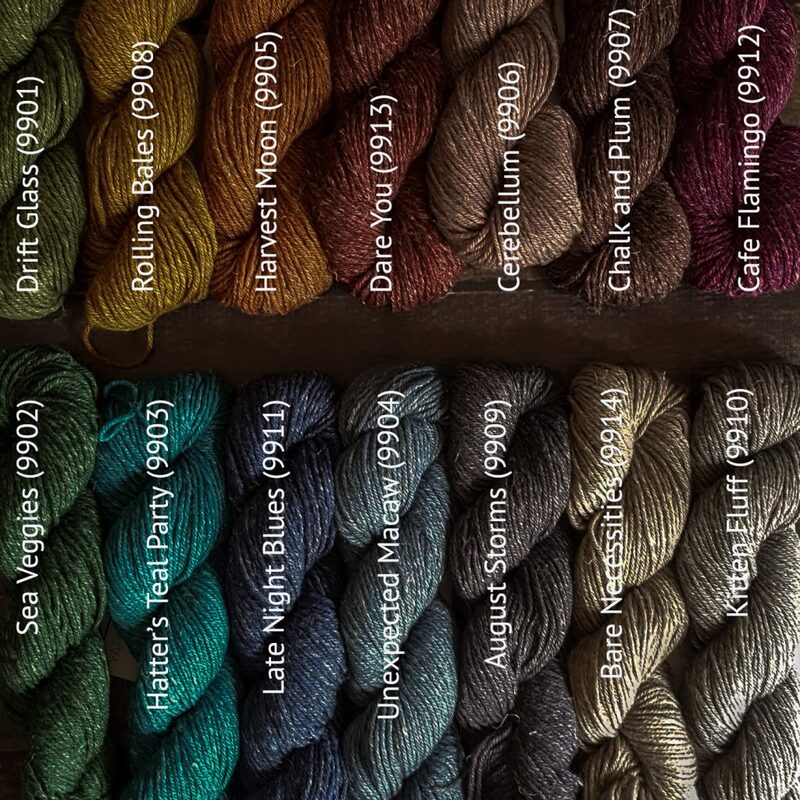 Harvest Moon, Cerebellum and Chalk and Plum are gorgeous!! I think Andrea Mowry’s Weekender will be great with this yarn. Can’t wait! What glorious colors! I want to try them all, but Drift Glass will be first. 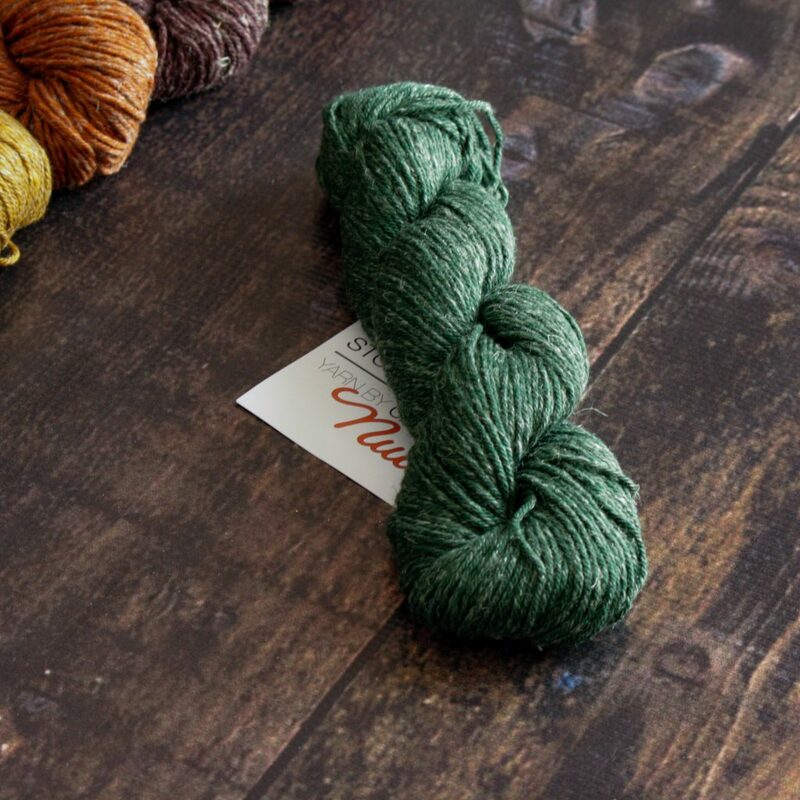 Again, Carol, these are beautiful colors and I will enjoy knitting with this new weight in Nua! And the way they are displayed in these photos is perfect! Storms and Late night blues. Congratulations on another lovely yarn. Beautiful! Will it be available through Love Knitting soon? I’m not sure how long they’ll take to get it up. Give them a poke! Chalk and plum. And Cerebellum. Well, they are all gorgeous. 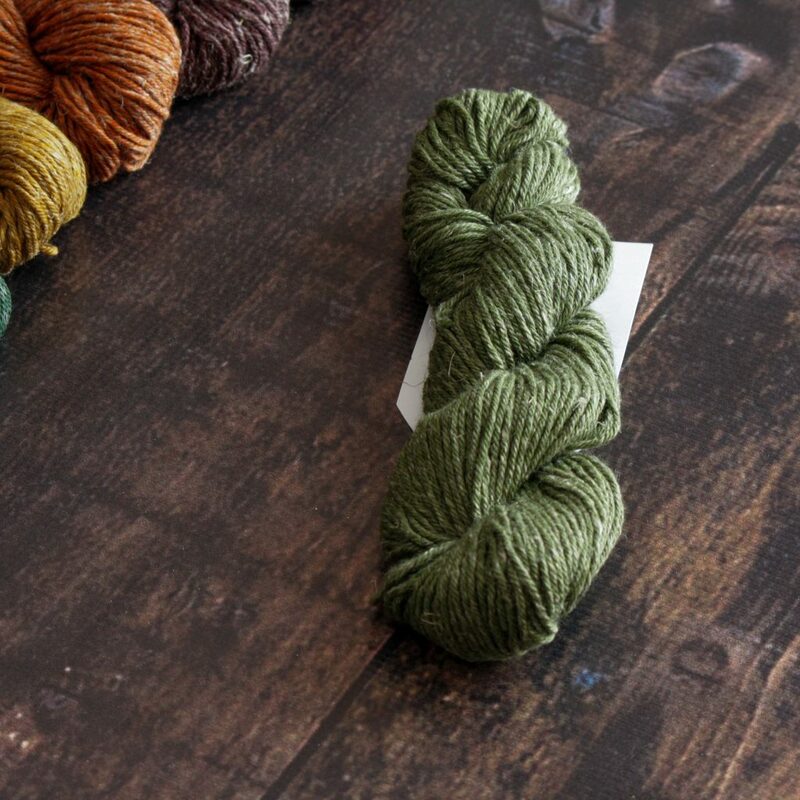 So happy to see Nua in a worsted weight and the colors are gorgeous. I am hoping to make Tabouli cardigan (Congratulations on this MDK 2019 Champion winner)! I noticed one project used worsted yarn. 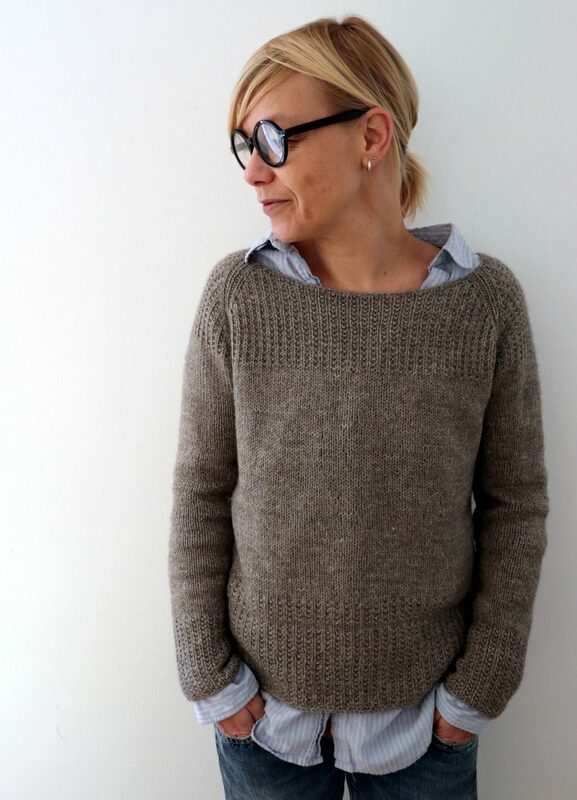 I also like Isabell Kraemer pullover featured on your blog. Thank you for sharing your beautiful designs and yarn.